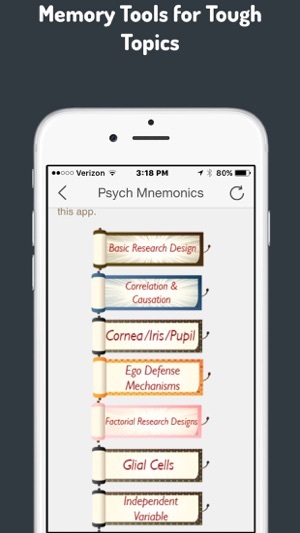 Memorize them quickly using mnemonics! 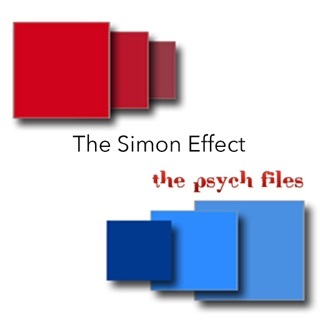 Hundreds of thousands of students have watched the Parts of the Brain episode on The Psych Files. 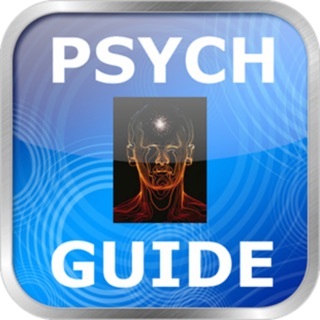 They have also watched videos on how to quickly memorize many psychology terms. 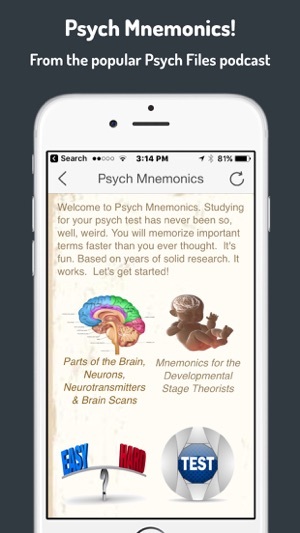 They have saved HOURS of study time by using established memory strategies. 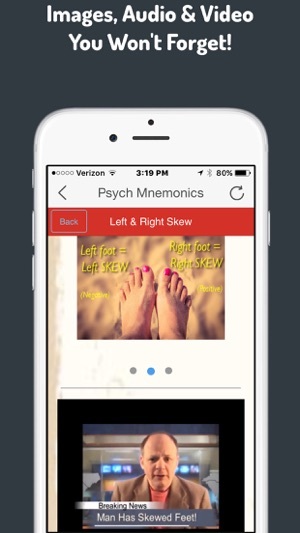 Now, the Brain Mnemonics and many more are available in this new, totally updated app. 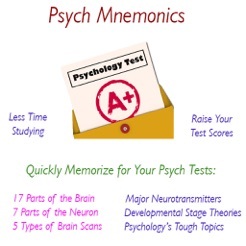 Psych Mnemonics has weird and memorable images for over 50 terms you're going to see on any test psychology test. 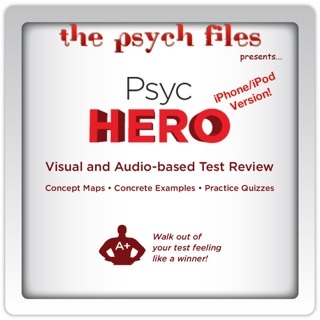 From the award winning podcast, The Psych Files by Michael A. Britt, Ph.D. 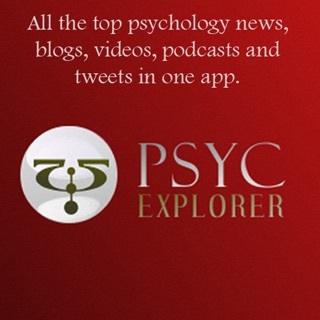 If you're studying for the AP Psych test - even the the EPPP or CLEP tests you'll find this app will save you time. 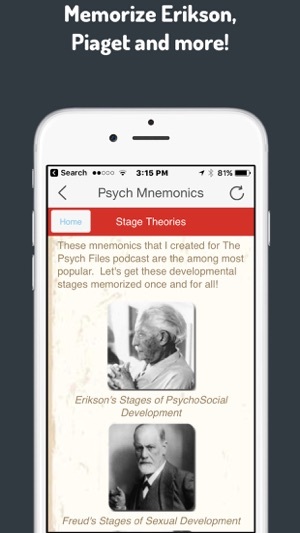 Designed primarily for students taking Introductory Psychology, but used by students taking a variety of courses (even useful to nursing students). For the price, minimal information. 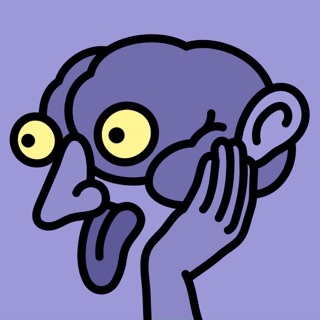 What is done, is excellent. 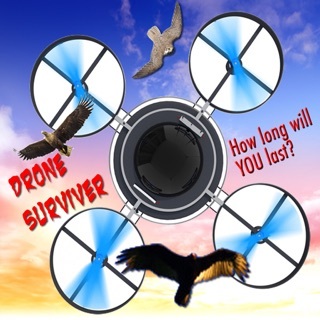 I would not recommend to others. 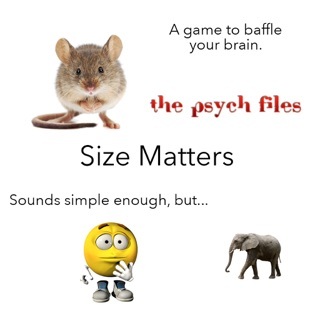 Size Matters - An Educational Brain Game to Tease Your Noggin!